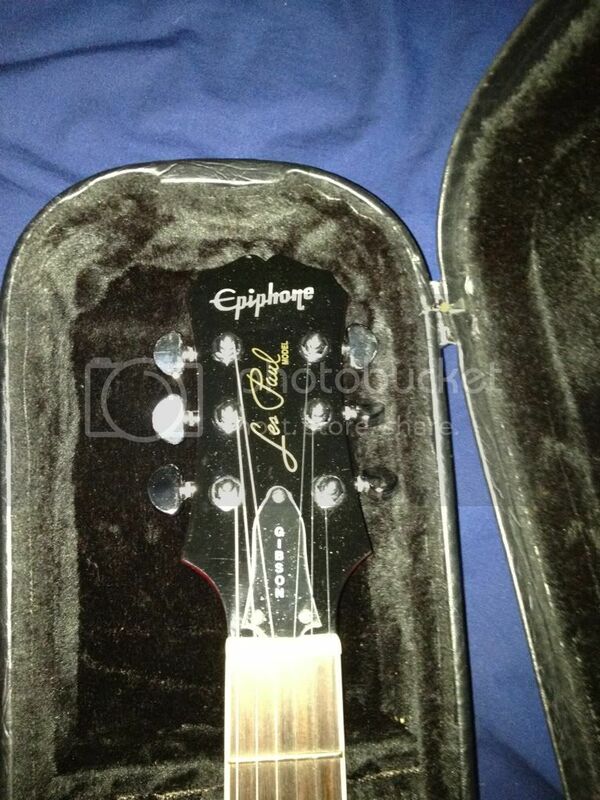 The headstock says Gibson Epiphone? Did that guy buy it from some Chinese spammer on a message board? it is chinese made but still one of the nicest guitars i've played. 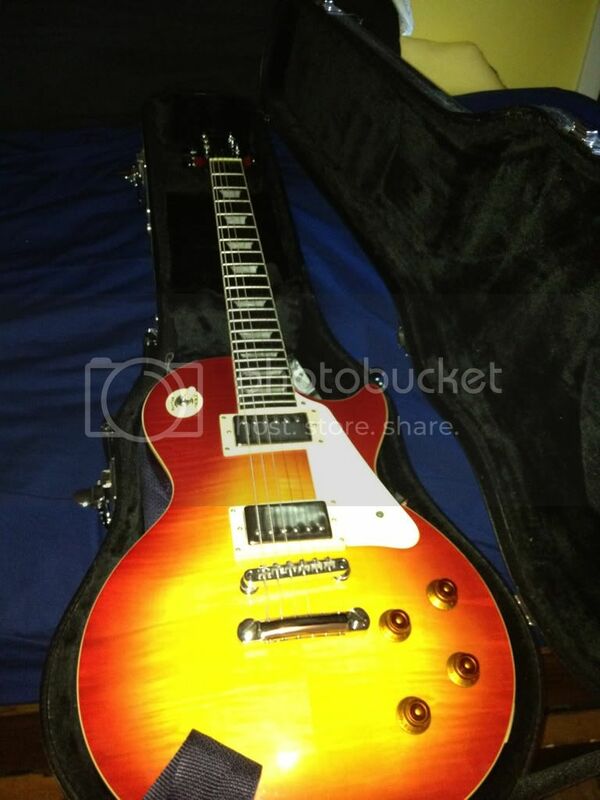 Epiphone Les Paul Standard. 400 dollars new at Guitar Center. If it's in perfect condition, offer him 300 for it. If less than perfect, offer accordingly. You can get a chinese made copy for like 400$ shipped to your door. You can get a real epiphone for like 400$ shipped to your door. but i imagine this guitar isn't an entry-level Les Paul based off its feel. a $400 guitar playing better than my $800 Schecter and $1100 Ibanez? Some Epiphones are very nice if they've been well taken care of. I almost bought an Epiphone Korina Explorer (500 dollars new, used for 350) a few years ago that looked like it had been dragged behind a truck but played as well as a 1,200 dollar US Gibson Explorer.